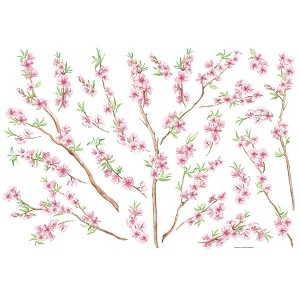 Peach Branch Tree is a Tall 39.4" x 27.5"
Peaceful Trees brighten up dorm walls! 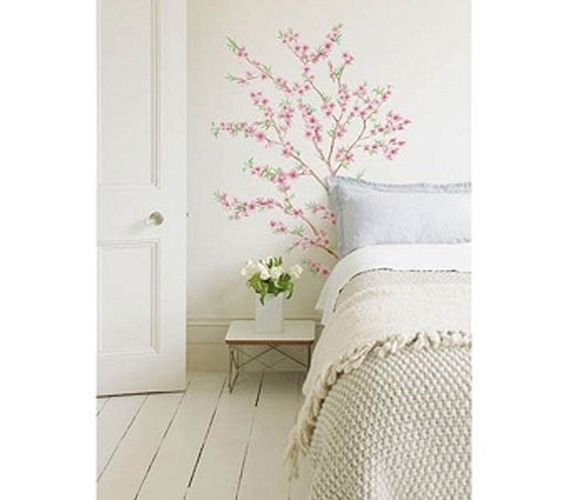 Our Asian Style Peach Tree - Peel N Stick is sure to bring positivity and serenity to your dorm room walls. Reminiscent of the ever-popular cherry blossoms, our Asian Style Peach Tree - Peel N Stick is a beautiful dorm decor option that resembles nature in a soft, delicate, and stylish manner. The dimensions are a large 39.4" x 27.5" and make it possible for tons of options to play around with for your dorm decor. How cool would it be if your dorm hallmates walked into your room to see an Asian Style Peach Tree popping out of your floor and giving your dorm bed some nice shade? We think that would be pretty awesome. There is dorm decor to fit everyone's tastes and styles. The possibilities are endless when it comes to finding dorm decor that suits you and your needs and wants for dorm life. Here at DormCo.com we have over 4,000 dorm essentials all in one place that makes dorm shopping simple and convenient. Make your dorm room your second home with a wide array of dorm supplies and unique dorm decor that is as special as you are.